Find a holiday apartment in Edinburgh, Scotland. Here at Lets Get Local, we provide a range of self-catering holiday lets in Edinburgh. And as our name suggests, we're a local team. We really know the city – and we love it! We look forward to welcoming you to one of our hand-picked properties. From city centre apartments close to the top attractions, to large luxury houses with private parking and gardens. We have elegant Georgian town houses, beautiful Victorian terraces, stylish contemporary flats with traditional features … something for everyone! With Lets Get Local, you can enjoy a home-from-home environment, with self-catering facilities and all your home comforts. Each of our holiday lets has its own unique style and character. We want your stay to be as relaxing as possible, so if you have any specific requirements or want to arrange something special, just get in touch. Available for one night stays, short city breaks, luxury weekends, one or two week holidays, corporate visits and festival stays. 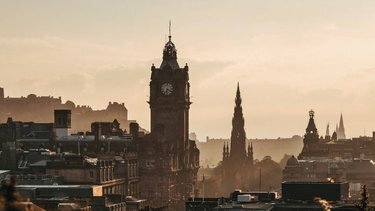 Whatever you're looking for, we can help you find just the right holiday lets in Edinburgh for you. Based right here in Edinburgh, the Lets Get Local team is close by if you need us during your stay. We're quick to respond and always happy to help. We think Edinburgh is the most wonderful city in the world. There's so much to see and do here, you're spoilt for choice! From must-see attractions like Edinburgh Castle and the Royal Yacht Britannia, to the hidden gems only locals know about. Edinburgh is known as the Festival City and hosts a wide variety of world-class events throughout the year. So, to help you plan your trip, we've put together these handy Local Guides, full of useful travel tips and information. Please get in touch if you need any advice on where to stay or what to see while you're here.